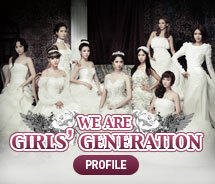 Girls' Generation 'The Boys': Girls’ Generation the 3rd Album ‘The Boys’ will be Finally Unveiled! The Album Will be Released on the 19th! Girls’ Generation the 3rd Album ‘The Boys’ will be Finally Unveiled! The Album Will be Released on the 19th! A Total of 12 Songs are Contained Including the Title Song, ‘The Boys,’ and Sooyoung’s the First Self-Written Song, ‘How great is your love’! The best girl group Girls’ Generation, who is receiving the attention from the whole world, will release the 3rd album ‘The Boys’ on October 19th in Korea. Many famous songwriters such as Young Jin Yoo, Young Hoo Kim, hitchhiker, Kenzie, Seong Je Hwang, etc. including the world’s producer, Teddy Riley participated in the album. Since fans can meet more developed musical sensitivity and attractive vocals of Girls’ Generation, it is expected to receive an explosive response from Girls’ Generation fans all over the world. Girls’ Generation’s new song ‘The Boys’ is written, composed and arranged by one of the world’s three producers, Teddy Riley, who was Michael Jackson’s producer. 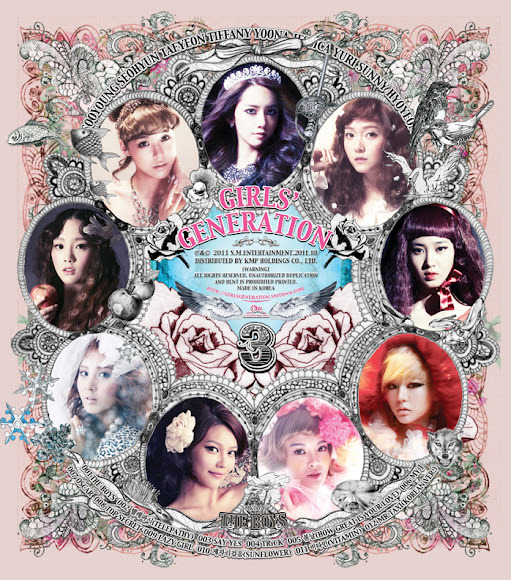 This song is an urban dance music created by intense and powerful drum sound and rhythm, uniquely composed harmony and creative and futuristic sound, so it is predicted to create another worldwide Girls’ Generation fever. Aslo, since this album will contain various genres of music including the Korean version of Girls’ Generation’s Japanese hit song, ‘Mr. Taxi,’ a bright R&B ballad, ‘How great is your love (Sooyoung wrote the lyrics for ‘How great is your love’), s cheerful synth pop ‘Telepathy,’ fun and retro pop track ‘Say yes’ and cheerful song ‘Vitamin,’ it is enough to fascinate global music fans. Besides those songs, there are a dance music ‘TRICK’ which is about Girls’ Generation as magicians, ‘OSCAR’ which features each member’s unique vocal in intense and dark sound and ‘Top Secret’ which carries impressive retro sound. The album will contain a total of 12 songs and present Girls’ Generation’s various charms. Moreover, on October 19th, Girls’ Generation will release the 3rd album as well as the music video and their new song ‘The Boys’ will be released worldwide through various music stores including iTunes. Therefore, it is predicted to draw the attention of global music fans. Meanwhile, Girls’ Generation will release the music video teasers of ‘The Boys’ on the 15th and 17th at 00:00 a.m. and present fancy comeback stage on ‘KBS Music Bank’ on the 21st.